Foam Packaging | JD PACKAGING GROUP, Inc. Since JD Packaging maintains large inventories of a variety of foam packaging products, we are able to quickly and easily respond to your needs. 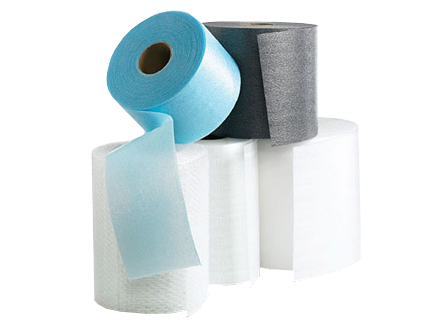 Foam can easily give your products the added protection needed to ensure safe transit. - E.L.E. Esther, Open Cell Foams - JD Packaging can also fabricate to fit your needs! You might want to consider JD Packaging for your next packaging design job. We not only design to meet your specifications, but in the most efficient way possible, always taking into account: cost, space and functionality. Foam materials can be used for a variety of product protection requirements include: aerospace parts, furniture, electronics (computers & circuit boards), medical . Polycell’s Air Bubble Cushions are made from a carefully formulated blend of virgin linear low-density polyethylene resins (LLDPE). It has excellent air retention, high tensile strength, superior tear and puncture resistance, and it is all 100% recyclable. Our air bubble cushions come in a variety of sizes, thickness and strength to fit your different needs (see table). We also custom slit and perforate your air bubble cushion to fit your requirements (see restrictions*). We also offer Heavy Duty Bubble Cushion, which is 10% thicker than our standard air bubble cushion. It is ideal for high0end applications such as job for the military, aerospace, and transportation. Our Three-Layer Bubble Cushion, which includes an extra film, is ideal for protecting very heavy products such as furniture, automotive parts and large fragile components. It is made from a combination of 3/16 inch of ½ inch Heavy Duty Air Bubble Cushion and a sheet of Polyethylene film laminated on to the top of the bubble to provide superior protection. Our Eco-cell Bubble Cushion is also available for low-end applications suitable for home and minimal protection applications. Polycell’s PE Foam is made from low-density polyethylene resins (LDPE). It is lightweight, non abrasive, water resistant, CFC’s and HCFCs free, and 100% recyclable. If surface protection is your number one priority, our quality PE Foam is ideal for the job. 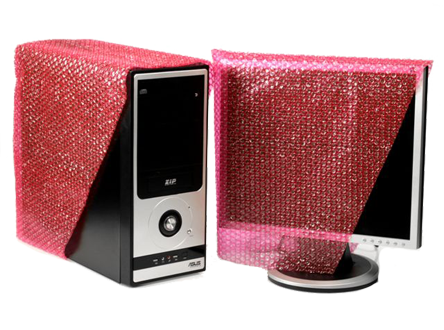 It prevents scratches of polished surfaces and cushions against shock for fragile products. It also serves as interleaving between products to ensure compact packaging, void filling and protective over-wrapping for goods Our engineers and quality control personnel are dedicated to producing the best polyethylene foam in the industry and are committed to continuous process of improvements. Polycell’s PE Foam is available in a variety of thickness from 1/32 inch to ½ inch and comes in standard sizes of 48 and 72 inches (See Table). We custom slit and perforate your foam bundle to your specific requirement. ** Just like the Anti-Static Bubble Cushion, we also manufacture Anti-Static Foam in all thicknesses, except 4” x 6” to 24” x 36” are also available to fit your applications. Quantity may require lead time. 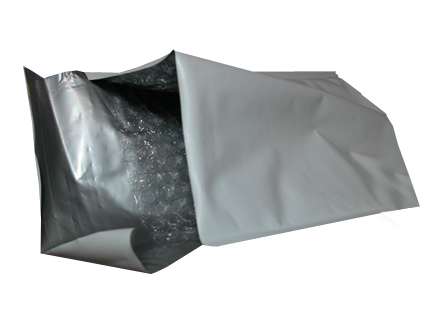 Polycell’s Bubble and Foam Cushion Mailers are light in weight but they are certainly not light on protection. With top quality, strong Kraft paper on the outside, a super light laminated bubble lining in the inside, and strong welds on the sides, our cushion mailers provide extra protection all around without extra postage. We have a variety of Bubble and Foam Cushion Mailers for you to choose from: 4” x 8” to 14” x 20”. 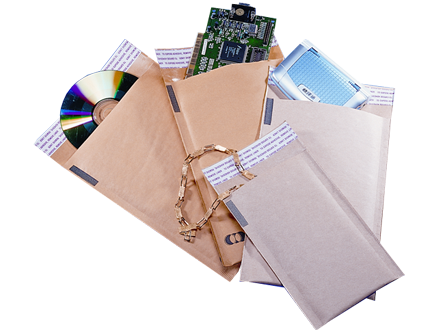 You may also choose Anti-Static, self seal, lip or flush application cushion mailers (see table). Polycell’s high standard Bubble Pouch offer a labor saving, cost effective way to provide for your packaging application needs. Our low-cost pouches protect your products from shock, abrasion, and vibration. Polycell’s bubble pouches are manufactured from high quality small bubble and are available in regular, Anti-Static or Heavy Duty. Our Bubble Pouch range in size from 4” x 5” to 18” x 23” and we manufacture custom sizes to fit your requirements. You may also choose Anti-Static, self seal, lip or flush application pouche. In addition, our Bubble Cushion Dispenser is simple and easy to use. It works just like paper towel rolls with perforation at every 12 inch. Our Bubble Cushion Dispenser is lightweight, water-resistant, non-abrasive and odorless. It is a simple solution that will save you postage and labor. All sheets are 12” x 12” and are now available in regular or Anti-Static. Customize, enhance, and diversify your packaging protection with our Premium Lamination Products. Polycell has combined the best of two materials into one, giving you the protection you deserve. Our lamination choices are primarily made up of double-sided bubble cushion, laminated with a variety of paper, film and foam products. Pigmented bubble is also available in a variety of colors. Polycell provides three of the most popular laminations: Metalized Bubble, Metalized Foam and Kraft Bubble, Our Metalized Bubble is manufactured by laminating double-sided air bubble to metalized polyester, which provides thermal insulation and shock protection. Our Metalized foam is manufactured by laminating Foam to Metalized Polyester, which provides thermal insulation and surface or shock protection. Our Kraft Bubble lamination is manufactured by laminating double-sided air bubble to Kraft paper, which increase strength and durability. In addition, you can easily write and stick label on our Kraft Bubble laminations, making it a feasible alternative for box containers. Laminations don’t just stop here. We also laminate Polyethylene Foam to Air Bubble Cushion and different films to Bubble Cushion or Polyethylene Foam. One of our popular lamination products is the Polyethylene Underlayment. It is utilized in laminate flooring installation and is also widely used in the U.S. flooring industry. Depending on your product protection needs, whether it is strength or durability, conductivity or thermal protection, or just for aesthetic value, Polycell will make it happen; and no matter what line of work you’re in, whether it is agriculture, medical, electronics, or moving industry, we will find the lamination that works best for you.